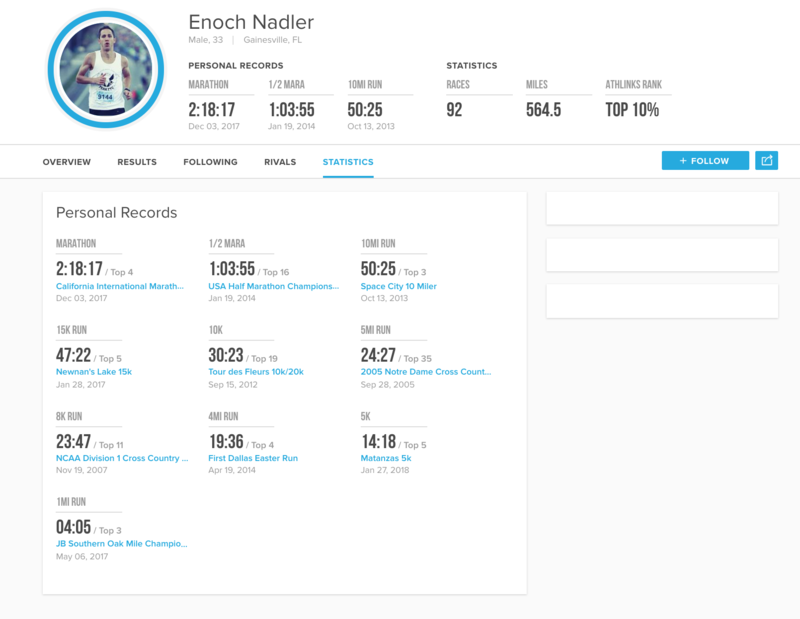 This "Enoch Nadler" guy is a monster. wow. 4:05 mile last year, 14:3X-14:5X like every 5k.. 1:03-1:04 half. 2:18 full... has to be the fastest guy in FL. 2:03 800m.. 58s 400m. in the estimates.